It's official! We have announced our move to Charleston. It was a big decision that took us awhile to make. We never thought of our lives beyond NYC, but with our desire to be #BroadwayDads so many things lined up to make this move possible. 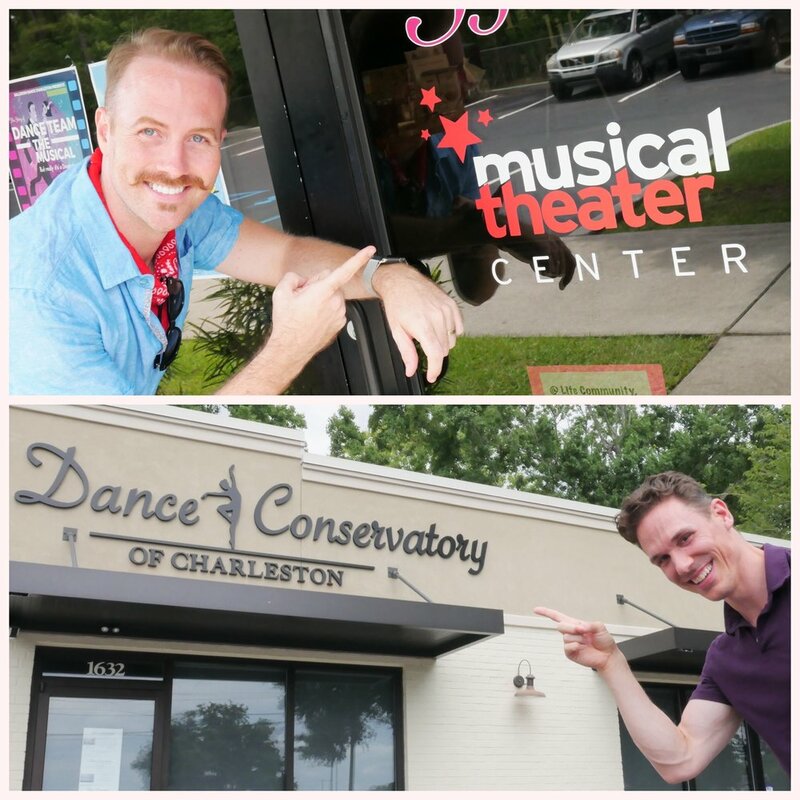 First off, Stephen's best friend Lindy (they danced together as children) opened Dance Conservatory of Charleston . With three kids of her own, she really wanted her best friend to help offload some of the classes. Then, after teaching a couple of master classes, Bret was offered Directing positions, first at the College of Charleston, and then at Musical Theatre Center. With the video producing and content creation directing was a natural next step. On top of that, Lindy had an apartment for us to rent for cheap, and Stephen's parents had a car! Too many things fell into place for us to not give this a try. While we know we won't be leaving the NYC theatre community behind, we look forward to embracing the arts community of a beautiful town like Charleston. Our plan is to spread the word via this website of all of the performing arts in Charleston each month. There are some awesome things happening here, and we want to spread the word! Keep following us on here and Instagram to see all of our new adventures.